Find out how to receive your Akashic Records Masterclass recording at the end of this article! What makes a possible future? Anytime you think of something, considering what you will do next, weighing pros and cons, you are “funding” the reality. Your decision to buy this car or a different car are going to show up in the Akashic Records until you decide which one you will choose. Think of the quantum physics of David Deutsch who describes the many worlds theory, and that many worlds exist simultaneously! This is where the collapse model fits, and that the “observed” action is what we get in 3D. As a devout fundamentalist Christian, Edgar Cayce didn’t believe in reincarnation. Hypnosis was first coming into awareness in his era (early 1900s). He had lost his voice and was reduced to a whisper for about a year when he accepted the invitation from a hypnotist to try hypnosis to cure the problem. Amazingly, after he allowed himself to fall into a sleep/trance, he received the suggestion that he find the answer to the issue. The message that came through was how to cure his voice with some very specific commands to the body. He came out of the trance with his voice fully restored. When word got out that he had used this method for healing himself, requests for his help to improve the health of clients and children of clients came flooding in. Several years later, he met and became friends with Arthur Lammers, a wealthy printer. Cayce was still working in photography and still had a store. Lammers hobby was the subject of metaphysics, and he was interested in esoteric questions like the meaning of life, and why we are here. He was intensely interested in bigger questions around the nature of reality, not just health. Lammers created a formula for Cayce to use as the basis for life readings for the rest of his life. Lammers’ formula comprised of Casey’s wife posing the questions to Casey in a very precise way, asking about the nature of the life and what was the purpose of a person’s life. These types of questions led to a different kind of reading, a life reading, that organized the information, speaking directly about the purpose and meaning of life, and of the person’s life, and their mission. After word got out that Cayce was able to help people by offering remedies and practices, curing seemingly incurable diseases, he was inundated with requests for health readings. He had politicians, every-day people, accountants, doctors and more reaching out to him! His secretary kept detailed notes and his repository of sessions is the largest body of knowledge of this sort in the world. First of all, the repository of cross-referenced reading available on the Edgar Cayce website could help you with your own healing. If you have never encountered this, you might explore it. This is a tremendous resource. You can look up other people’s illnesses that are similar to your circumstances. Today, anyone can access the records and put this resource to work for you. When you learn to open your own Akashic records, the record keepers can help you solve any problem that you encounter. It will boost your energy and give you loving advice about any situation. The energy emerging from the Akashic Records gives you an incredible boost. In fact, opening your own Akashic Records will help you solve any problem by giving you insight that allows you to understand your situation from a different vantage point, thus creating a tool to help you see what’s really going on and then how to solve anything. My teaching protocol invites you to initially consult your own guidance first, and then open up the Akashic Records and ask the identical question, and then compare the results and the differences. This is one way that a person learns to differentiate between their own wisdom channel and the wisdom from the record keepers. Take for instance the woman who wanted her adult daughter to move out of the family home. Her younger siblings had all moved out and the mom, a widow wanted her privacy. She asked the question, “I would like to know what I need to know about my daughter that would be useful or helpful.” Their relationship had been troublesome. This daughter was old enough to be out on her own, had a trust fund, and was highly critical of her mother. Although she loved her daughter very much, she wanted her to spread her wings. Her higher self gave her the answer, “Be patient and loving.”In the Akashic Records she was able to tap into the situation and was able to feel how afraid her daughter was. And then the record keepers surprised her with this added insight, “She will always be there for you.” That had never occurred to her! I am forever enchanted by the idea that you can get an expanded answer for any question you might pose! The answer often is far beyond where you might look or what you might look for. I am continually amazed how our knowledge, compassion and happiness can expand and increase by accessing the Akashic Records! Please follow the steps below to access Imagine You and the Akashic Records – a four-part Masterclass recording presented by Maureen St. Germain and Lumari. You will learn what it takes to open the Akashic Records, and what can be known about the vast, loving beings who embody them. Blessings, and may you have a “Day of Heaven on Earth” ! These sessions were wonderful and filled me with such joy. Maureen St. Germain and Lumari have teamed up to present a four-part course on the Akashic Records. You will learn what it takes to open the Akashic Records, and what can be known about the vast, loving beings who embody them. You will receive a new connection, a deeper understanding, and opportunities to connect with the Akashic Records from two masters! Opportunities you would not receive otherwise. Maureen St. Germain has traveled worldwide since 1995 teaching through wisdom teachings and sacred practices. Labeled a modern-day mystic in Famous Wisconsin Mystics, she has taught in 24 countries, including China, Japan, Australia, Bulgaria, Turkey, Egypt, England, Scotland, Canada, Mexico and the US. She has taught at the prestigious American centers Kripalu and Omega Institute. As a transformational teacher, author and intuitive her books have been translated into Russian, Italian and Chinese. 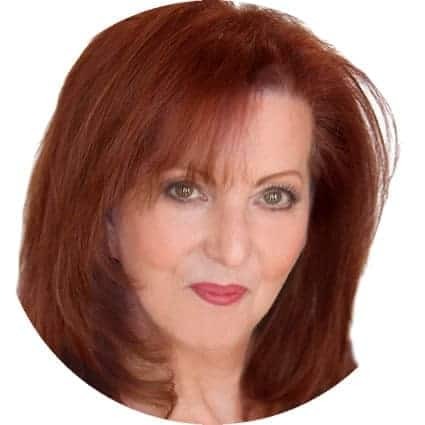 She has been featured on National Geographic Specials, Gai TV and hundreds of radio shows worldwide including Coast to Coast with George Noory and Fade to Black with Jimmy Church. Maureen’s latest book, Waking Up in 5D, was named 2018’s best-selling book of the year by Independent Booksellers across America. 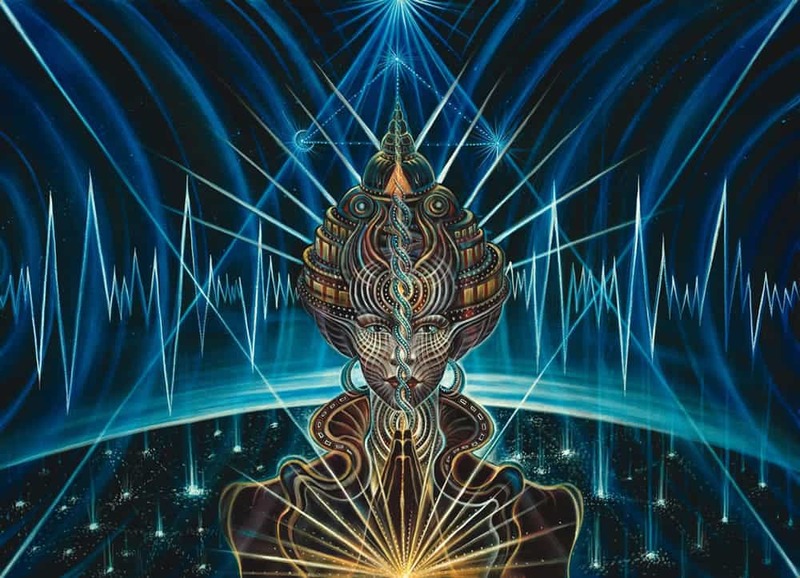 Her interest in the Akashic Records resulted in her being granted access to this dimension that has been off limits to most of humanity for millions of years. Maureen’s new book, Opening the Akashic Records, will be released on April 5 and is available on Amazon for pre-sale. Known as “The Practical Mystic,” Maureen’s passion is supporting individuals in their personal expansion and spiritual awakening. Lumari is a gifted, internationally acclaimed intuitive life coach, spiritual teacher, transformational healer and best-selling author. 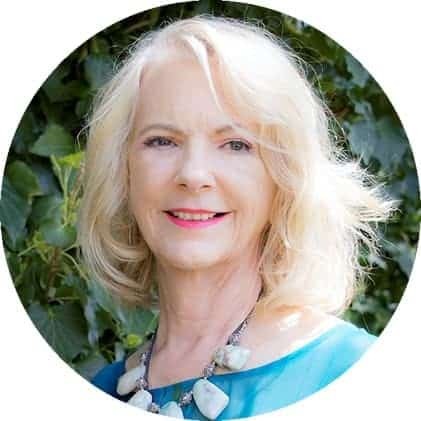 For over 25 years, she has shown thousands of clients all over the world how to discover and celebrate their soul purpose and calling, connect to their highest path of destiny, move into greater spiritual awakening and fulfill their dreams. A celebrated psychic, intuitive and channel, Lumari brings a joyful vortex of vibrational energy, spiritual clarity, guidance, wisdom and healing to help you shift to higher levels of your soul’s expression in your personal, creative, spiritual and business life. Inspired by the wonders of the Universe, Lumari has always communicated with the Divine Ones, including the Akashic Records and Alawashka, the original consciousness of creation. Her vision and focus is bringing the highest vibrations and wisdom teachings to support and guide you in your spiritual awakening and soul’s expression and to uplift our world. Lumari is the author of several bestselling and award-winning books including, AKASHIC RECORDS: Collective Keepers Of Divine Expression and ALAWASHKA: The Original Language of Creation, many guided meditations, her line of GEMSTONE MYSTIC Jewelry for Modern Mystics and the host of her podcast, Cosmic Coffee Break on iTunes. The Akashic Records are a field of information of your life and lives. A trademark of Akashic Records “Readings” is that it is like accessing a library of information. The “reader” may stop, and pause, collecting and centering the information that is provided through them by the guides and channeled through you. The Akashic Records are known in the Bible as the Book of Life. It is the recording of your soul’s journey, past, present and future. 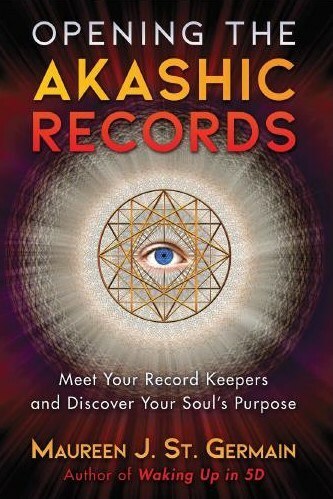 An Akashic Records Reading consists of opening the records of the soul and asking that the information be given. This will give you valuable guidance in moving through the patterns prevalent in your current life. It will offer you opportunities for growth and support your life right now! This field of energy is known as the Akashic Records, or as American prophet Edgar Cayce sometimes called it, your Book of Life. You can change your future by accessing the information in the “Records” and gaining the wisdom of a bigger picture of any situation. The Akashic Records are a living field of liquid light. The Akashic Records are the library of all that is, or all that may be. The Akashic Records are available to all who seek them. The Akashic Records are like a film library that allows instant access. One may view the past along with probable futures. All versions of the reality are available. Generally one views a single timeline for one person or group at a time. Probable futures allow for informed decision-making. The Akashic Records are located in an environment outside the 3D world we know. Interest in the Akashic Records is fueled by a dispensation that allows access to this realm from within the 3D reality by Guides. Anyone can learn to access their own records. Our ARI Guides are trained and certified to work with others and open their records. This entry was posted in Akashic Records, Maureen's Message, News You Can Use. Bookmark the permalink.